COVIN OWNERS CLUB FORUM • View topic - Hello to all members from a new one. I also had to change the front end for the S2 one as the air filter sits in the Badge plate, It was lucky I had a rolled S2 to butcher! I love 3rd gear with these engines! 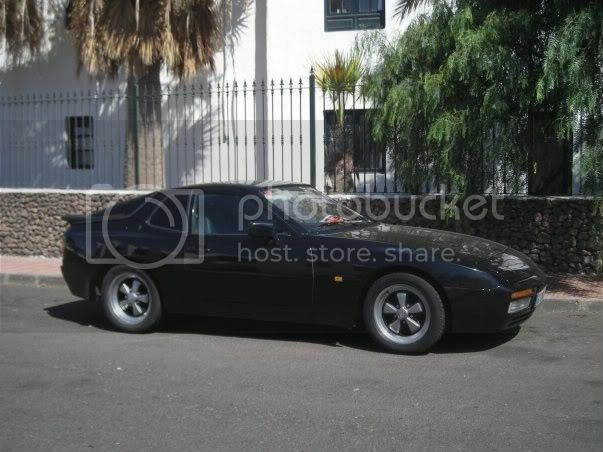 I sold it 3 yrs ago when I left Lanzarote to move to Marbella! Yes you are right the air filter is in the nose cone. The power really comes in on the 3ltr engines about 4000rpm and then they are in a class of thier own. Yours on an 84 was just before the changes to the interior. ie the dash and seating position. Yep you are right, I ended up installing the front wings and bumper and badge plate from the S2 , basically the whole front end! I had to drill out all the spot welds on the S2 member that the airfilter tube goes through and I had to lower my Radiator a few inches. It was a bugger of a job but worth it! I get on well with the "Porscheshop" parts suppliers in the UK and they have a couple of clients who have dropped 968 engines into old 944´s. 240HP!!! The shop you mention is very expensive to say the least and new parts can be found alot cheaper.. If you had the full s2 to butcher why didnt you use the rad and bottom bracket? every thing would have just fitted in nice, and you could have saved yourself alot of work.